Cambridge is a beautiful place to visit, it's an array of intertwining cobbled streets choc full of gorgeous shops where even the chains manage to fit in with the unique style of the city by keeping the old building fronts in tact. It's so easy to lose hours whilst wandering around what feels like a real life Harry Potter-esque set. The buildings have a mix of Tudor and more Gothic style architecture which looks especially stunning during autumn with all the red and gold leaves blowing around on the streets and the burgundy ivy growing up the walls of the buildings. The Fudge Kitchen stands proudly in the centre of Cambridge where they hand make fudge in an array of wonderful flavours, they even have 2 vegan ones! Seeing as I don't visit Cambridge very often I decided to splurge and buy a chunk of both the coconut vanilla and salted caramel fudge because trust me they are both so creamy and delicious. The salted caramel flavour is made with a soy milk base, the texture of this fudge is quite gooey which I personally really love. The coconut vanilla flavour is made with a coconut cream base so is good for people with a soy allergy, the texture is a little firmer and slightly more crumbley. My personal favourite is the caramel because well.... salted caramel need I say more! Whilst in the shop one of the guys told me they are happy to make custom fudge flavours for you and he mentioned chocolate orange and maple both of which would be right up my street. Their packaging is so cute and totally gift worthy if you have a friend or family member who's partial to some fudge. The little paper bags are adorned with very true phrases like "hey! You lookin' at my fudge" and "not gonna make it home in one piece"
It's so lovely to see smaller businesses catering for vegans, I'm finding it more and more now that I will be somewhere and find vegan products unexpectedly which is a world away from what it was like when I first went vegan and most restaurants didn't cater and the supermarkets had little to no vegan products, let alone a small independent shop. Cambridge has some really lovely eateries that make vegan food, stay tuned to my blog for the most amazing vegan meal I had whilst there, blog post coming soon. So as we can see for £60 there isn't a whole lot of food and the other thing I would like to point out is that a lot of these items are novelty buys because we all know how excited us vegans get when things like ready meals we can eat come out! I very rarely eat ready meals and I am more on the healthy side of the spectrum than the junk but I do like to try these things. One of the last things to really start showing up were ready made vegan desserts, the internet is full of recipes for fabulous vegan puddings and desserts but sometimes you don't have the time or can't be bothered to make something from scratch so items like these pudology millionaires puds are fantastic! As I already mentioned I don't often use ready meals but sometimes it's just nice to have something like this stashed in your fridge for when you get home and just can't be bothered with life, shove it in the microwave and jobs done! I also really love Katsu curry. Veganaise is the best vegan mayonaise ever! This is why I bought 3 jars of this stuff because it's life! It tastes just like helmans and is just so good. If you miss potato salad or coleslaw then this is the stuff you need to mix through warm potatoes with chopped chives or spooned in with some prepackage coleslaw mix. Is there anything more amazing than a hot cup of tea and some shortbread to dunk? I think not! These amazing little morsels are accidentally vegan and boy am I happy they are. I bought some of these last Christmas because in my family growing up we always had biscuits and tea whilst opening our presents and more often than not it was shortbread, so at least I don't have to miss out. This year I may dip some in chocolate for a bit of added luxury. I really enjoy making the odd sandwich and I love that there are now lots of options to have meat replacement sandwiches. I wanted to try some of the hickory smoked tofurky, and plan to have a roll loaded with lettuce, tomato, tofurky and mayo! I spotted these noodle pots and got very excited when I realised they were vegan, they had 3 flavours, satay, pad thai and sweet and sour. I bought one of each of satay and pad thai and will probably take them to work with me for a lunch time treat. They are not super healthy but I am always about balance and eating healthy 80% of the time and having a little naughty treat every so often. Violife Mediterranean block, by far my favourite cheese. I think I have said before I don't think it tastes anything like halloumi which is what it's based on, however I do think it tastes just like manchengo cheese which is so good. I tried the Rhythm 108 chocolate range last year at Stylist Live and oh my they are amazing! If you miss chocolate bars then you should give these a try. Vegan chocolate is a bit slow to catch up with the growth of the rest of the movement, yes you can buy dark chocolate and yes there are dairy free versions of chocolate buttons and plain bars but there aren't readily accessible versions of things like twix, kitkat, crunchy, mars etc. So these little delights are starting to bridge that gap, yay! Now I love me an iced coffee, and I used to enjoy drinking those little chilled starbucks coffee's you could pick up at the corner shops. Luckily Alpro came out with their caffe range a while back and let me tell you they are delicious! The caramel one is my personal fave but they also do hazelnut. Califia is an American brand that I had my eye on and was quite jealous we didn't have them here in the UK, so when Sainsburys started stocking them I was very happy, they do a range of iced coffee drinks that are all really yummy. I have always quite liked Merchant Gourmet for their pouches of rice, lentils and quinoa but I was surprised to see they have now branched out into dips. Some may say I'm obsessed with houmous and I do love any type of dip so I was sold when I spotted this chestnut and red pepper dip. I also got two flavours of moorish dip as well because a girl can never have too much dip. I haven't had the chance to try this brand yet so am looking forward to having some with carrot and celery. I used to love buying fresh pasta at the supermarket for a speedy dinner, sometimes I still go down the aisle to look at them and shed a tear for all the lovely pasta I can no longer have. However Ugo have a vegan ravioli stuffed with pumpkin and sage, how perfect is that flavour combo for the upcoming season? Linda McCartney meatballs are one of the items I have never tried. So I got some to either use to do spaghetti and meatballs or to make a meatball sub..... time will tell what I decide to do with those. Smoked Tofu is the best kind of tofu! Really I just like anything smoked, but I do really enjoy the tofoo brand and love it straight out of the pack. Lastly, this dip.... words cannot express how bloody tasty it is. Just give me a spoon and leave me alone with this dip. I love those little peppers on the top and usually they are gone within seconds of me opening the tub. 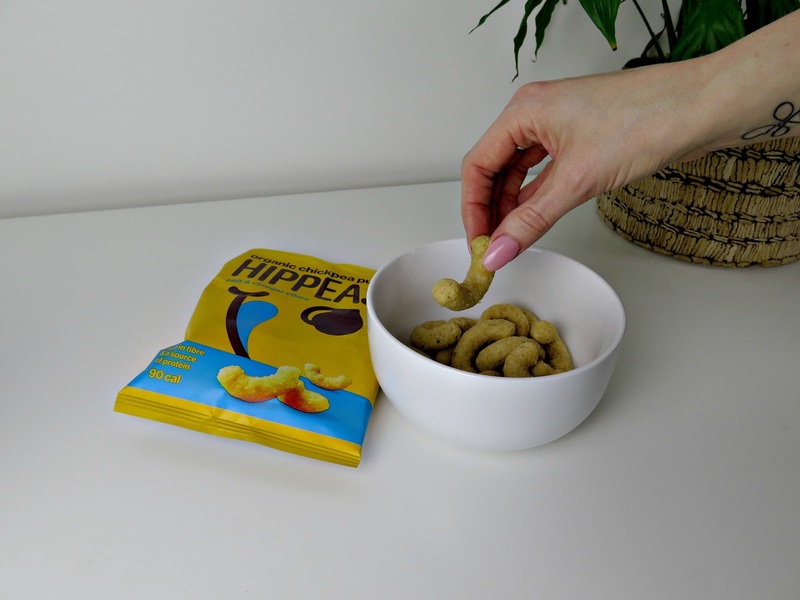 I hope you enjoyed this post and it gave you some inspiration, let me know what your favourite vegan products are in the comments. Slowly but surely I have been working my way through lots of vegan protein powders and have some firm favourites now that I will do a separate post on. I thought I would do a quick post about making a protein coffee shake which is really yummy and sets you up for the day. It's lovely and filling, packed with protein and healthy carbs and is only 216 calories, and best of all takes under 2 minutes to make! pop it all in a blender and whizz until smooth and frothy. You could modify this and just make it an iced protein coffee if you would rather by leaving out the banana and blending the protein with ice, I might even be inclined to add a shot of cooled espresso as well. Keep an eye out for my round up of the best (and worst) vegan protein powders, they are expensive so it will hopefully save you from wasting your money on the ones that taste terrible. Don't forget to follow me on instagram where I post loads of photos of vegan food! The benefits of drinking lemon water daily have been documented lots of times and you've probably seen that it has health benefits, but did you know just how many? As much as I am addicted to a cup of tea in the morning I really try and drink a big glass of water, especially with some fresh lemon before I have anything else, here are some of the reasons why. Lemons are high in Vitamin C which has quite a few health benefits including helping to lower blood pressure, boosts your immune system and is an antioxidant that helps to protect your cells from free radical damage. 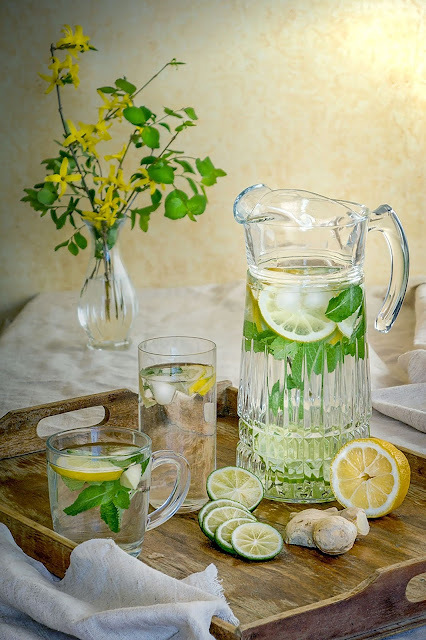 Drinking hot water with lemon first thing in the morning is said to help stimulate the digestive system due to the atomic structure of lemon juice being similar to that of your digestive juices, therefore it tricks the liver into producing more bile which keeps food moving through your gastrointestinal tract smoothly. I actually quite like hot water with lemon and ginger so don't find this too much of a chore. Vitamin C encourages your body to produce collagen which is an important part of youthful skin helping to keep your skin plump and ward off wrinkles, most of us are in a constant battle to keep wrinkles at bay so what better reason is there to down a glass of lemon water? A study recently published by the American Journal of Clinical Nutrition showed that people who consumed more vitamin C were at less risk of wrinkles and dry skin. Drinking lemon water first thing in the morning is beneficial for your body because after sleeping through the night the tissues in your body are dehydrated, lemon water hydrates and oxygenates your body providing you with an energy boost that is far better for you than coffee. This doesn't mean I am not a fan of coffee, because trust me I am. Just make sure you get the water in first, to re-hydrate and then have some good coffee about an hour after your water, because coffee if you buy decent stuff also has health benefits. Lemon contains citric acid which may help prevent the build-up of calcium kidney stones, and no one wants to get those! With all these worthwhile reasons for a simple glass of lemon water, why wouldn't you? Thanks for reading guys! Don't forget to follow my blog and check me out on social media to keep up to date. Small changes make a big difference. I am by no means perfect, there is so much more I could do to help the environment but the society we live in makes it very hard for the average consumer to do the right thing, and most people are blissfully unaware of the damage that is caused by something like their weekly shop. The abundance of plastic that the western world use to package their food is crazy and then we absent mindedly throw it away without a thought to where it goes. To solve the issue would take a worldwide contribution, which I don’t see happening any time soon, however if we were all to make some small changes to our everyday habits then collectively it would have a huge impact. Sometimes I struggle with the realisation that I am just one person in this big world so anything I do can’t change all the bad that is happening and I feel overwhelmed; then I think that for everything I am doing to help is all part of the bigger picture if there are more people like me doing it as well. The more I mention things to my friends and family the more I see them making small changes as well, so I may be just one person but my actions and efforts are making a difference. A few months ago I bought myself a reusable takeaway cup after learning that the paper cups we get from coffee shops aren’t recyclable due to the waterproof coating. There are some shocking statistics of how many cups are used per year in the UK alone, and most of them make their way to landfill. Our love of takeaway coffee means that we waste an average of 2.5 billion paper cups per year, that’s a number that I struggle to comprehend. 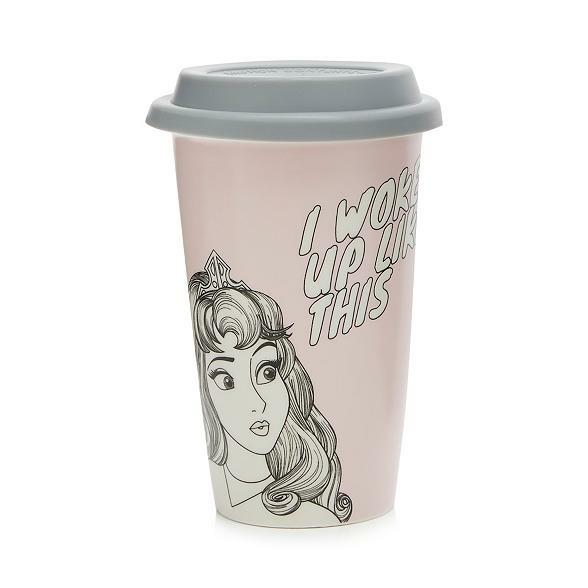 Because of the waterproof layer inside the cup that stops your latte ending up in your lap, only 1 in every 400 cups is actually recycled and half a million of those cups end up on the streets of Britain every day! 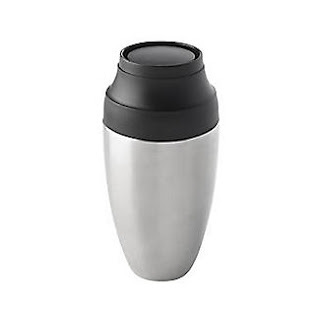 The truth of the matter is that this issue is relatively easy to solve or at the very least reduce dramatically, and that comes in the form of reusable cups. You can pick them up on every highstreet, they aren’t hard to get hold of, nor are they expensive. I have a starbucks plastic cup that cost £1, yeah that’s right £1! It won’t last forever because it isn’t the toughest plastic out there but it looks just like a standard starbucks cup and the cardboard sleeves fit them just fine. They don’t leak and you can fit a small or medium sized coffee in them and best of all, all the big coffee chains offer a 25p discount on your coffee if you use your own cup. So invest in a £1 cup and in 4 coffee’s time it’s paid for itself, win win! 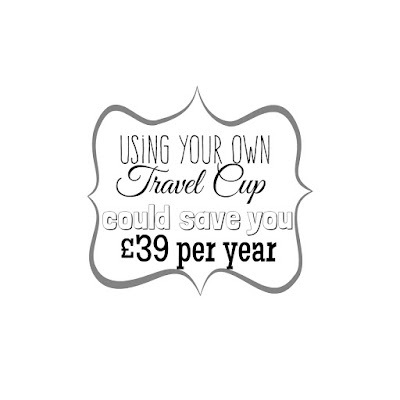 The government have been discussing bringing in a 25p levy on takeaway coffee which means if you don’t hurry up and invest in your own takeaway cup then a cup of coffee could soon cost you an extra 25p per time. If that’s not a big enough incentive then I don’t know what it. 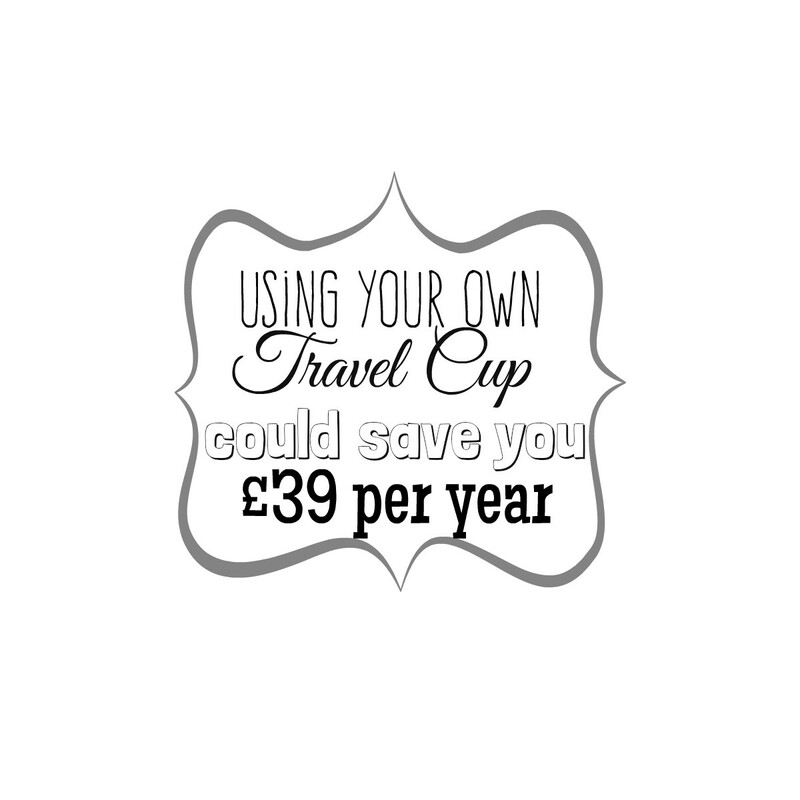 In fact if you buy around 3 coffee's per week then that's a saving of £39 per year just for using your own cup! There are some really cute travel cups out there so there really isn’t a reason not to invest in one, my favourite one at the moment is my flamingo cup by Sara Millen, how insanely adorable is it? There's a whole flamingo range but that's for a different time so be still my beating heart. In case you were wondering, the lovely black midi dress I'm wearing is from Pretty Little Thing and was a total steal for only a tenner! If you're interested you can find it here. Thanks for reading, I hope this article has opened your eyes to something you may not have been aware of. Let me know your thoughts on this topic. If you liked this post and found it useful, don't forget to share it via social media. Thanks for all of your support.